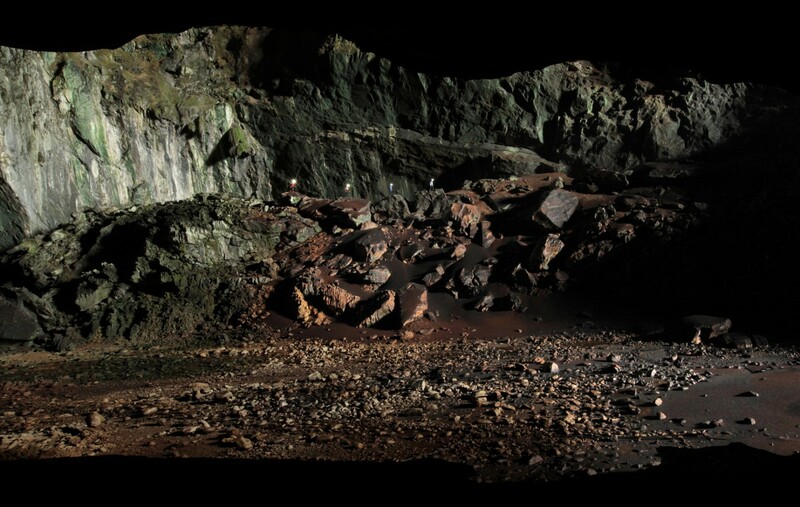 Cave explorers add scale to this massive cave passage as they walk along a giant pile of bat guano (poop). Deer Cave, is arguably the largest cave passage in the world. Mulu National Park, Sarawak, Borneo.